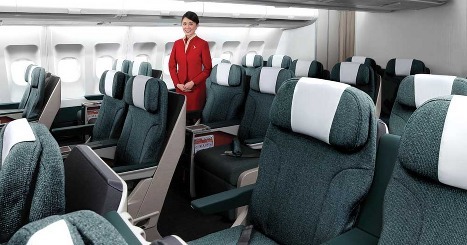 Singapore and Tokyo are on the cards for the release of Cathay Pacific's new local business class in Jan next season. The seat, which we profiled on its release in Hong Kong recently, symbolizes a new strategy to local business. Its multiple styles gets some components from a tilted lie-flat or 'sloping sleeper' seat and patterns them into the more traditional way of a reclining chair. Toby smith, Cathay’s Common Administrator, Item, informs Australia Business Visitor that the commercial airline getting ready for a super-fast rollout of the new chair which will be retrofitted across Cathay’s local Boeing 777 and Airbus A330 navy. “That will come into assistance beginning in Jan 2012, and there is just under a two-year move out system, finishing in delayed 2014” Cruz says, with the chair scheduled for "short-haul routes -such as Singapore, Taipei, Kuala Lumpur and Seattle - plus all of our routes to Indian and the Center Eastern." A Cathay Hawaiian representative therefore verified to Australia Business Visitor that Singapore, Seattle and Osaka would be among the first to see routes with the new local company category chairs on improved Boeing 777s. The refit of the Boeing 777s will proceed throughout 2013, with the concentrate moving to improving the Airbus A330s towards the end of the season. This will be followed in 2014 by distribution of new Airbus A330s with the chairs factory-installed.